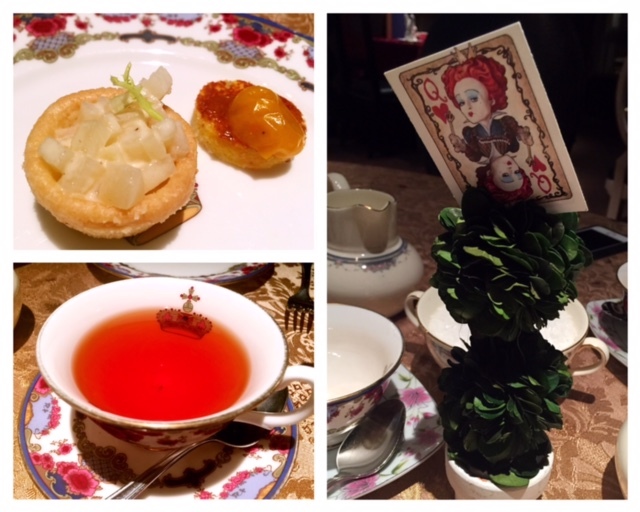 Down the rabbit hole: We didn't need an "Eat Me" sign to entice us into gobbling down the maddeningly whimsical spread at Notch8's Mad Hatter afternoon tea. With a sweep of a Fairy Godmother's magical wand, the private dining room at the Fairmont Hotel in Vancouver was transformed into the World of Alice in Wonderland, complete with topsy turvy tilted paintings, ticking clocks and tables dressed in bunny ears napkins. 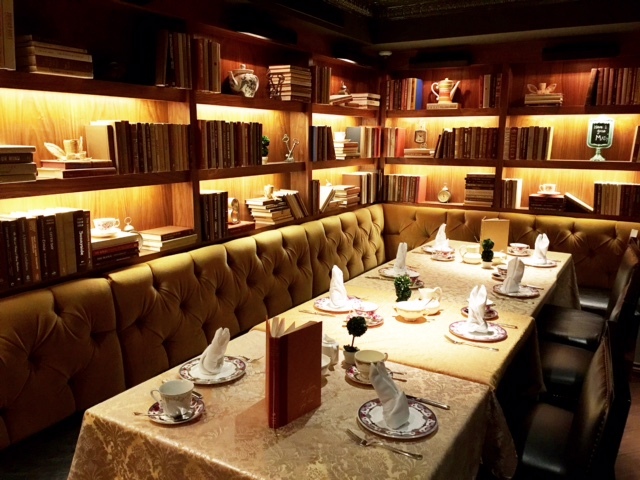 The menu is tucked in the midst of a vintage hardcover storybook, adding an extra dash of whimsical appeal. Our voyage through the Mad Hatter menu began with hot amuse bouche, ranging from a creamy gorgonzola cheese with fresh pears tart to a polenta blini adorned with roasted tomato. We couldn't resist the fragrant Imperial Lavender Earl Grey tea, a signature blend of the Fairmont Hotel Vancouver. The three-tiered afternoon tea tower came with two layers of sweet indulgences and a layer of savoury delights. 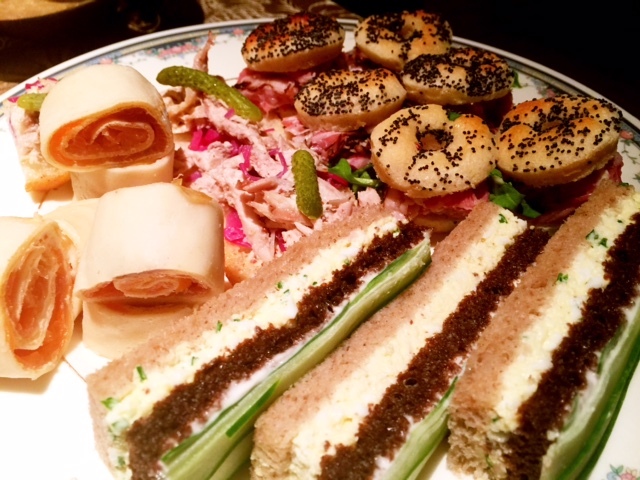 There were salmon crepe pinwheels, mini bagels with shaved beef, shredded chicken on rye, and egg salad sandwiches dressed with delicate layers of cucumbers. On the sugar front, classic favourites such as lemon tarts, tiramisu, opera cakes, macaroons and cookies are giving a whimsical swish via design. We especially adored the "Ace of Spades" raspberry chocolate sandwich cookies shaped like playing cards, and the mini chocolate tea cups filled with dreamily light tiramisu. 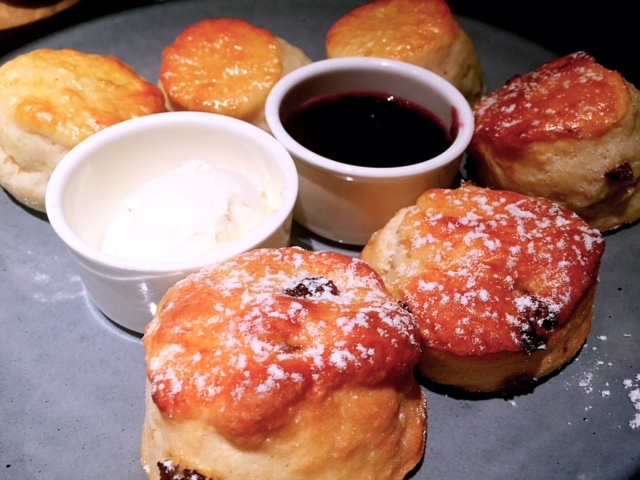 In our view, scones make or break an afternoon tea. The ones in our Mad Hatter tea set were warm from the oven, fluffy and incredibly buttery. The Mad Hatter afternoon tea menu will run until the end of August at Notch8. 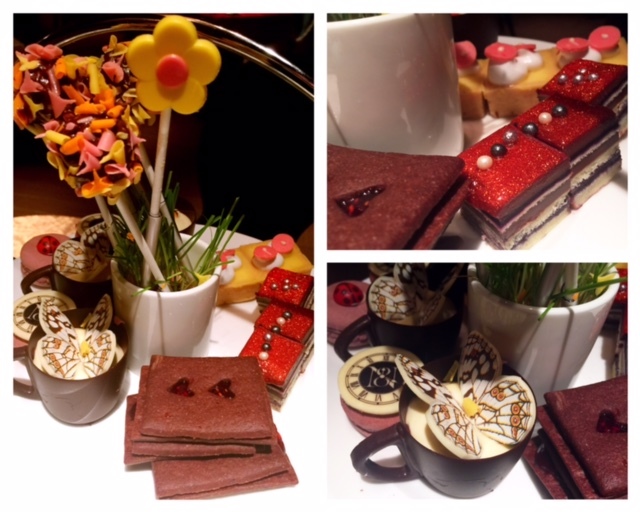 There will be a new afternoon tea concept introduced every quarter with a circus theme pinned for the fall season. Tiny tots have their own unique afternoon tea set, complete with Children's Bubblegum Tea, finger sandwiches, fresh strawberries and cream, mini jello, seasonal fruit tarts and a giant chocolate chip cookie. On Sundays, a round of complimentary bubbly is awarded to the table with the "most Mad Tea attire" to reflect the theme. The set is priced at $54 per person, with half prices for the kids sets. 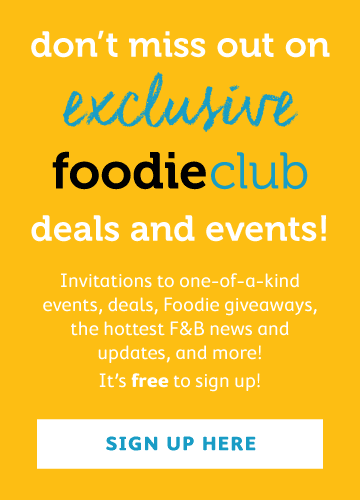 Bookings can be make at (604) 662 1900 for seatings either at 11am, 1pm, or 3pm.